Gemstone takes making solid surface sinks very seriously. Having roots in the fabrication side of the business, Gemstone understands what it takes to make sinks that fabricators want. For the past three years, Gemstone has listened to designers, architecst, owners and fabricators and has completely revampted its product offering to include a complete line of Universal Design, ADA, commerical, and residential sinks for nearly every application. If you don't see what you need, call us! We might be getting ready to bring out something that will work, or design it yourself, or let us help. For as few as 100 sinks, your dream may become a reality as very affordable prices. 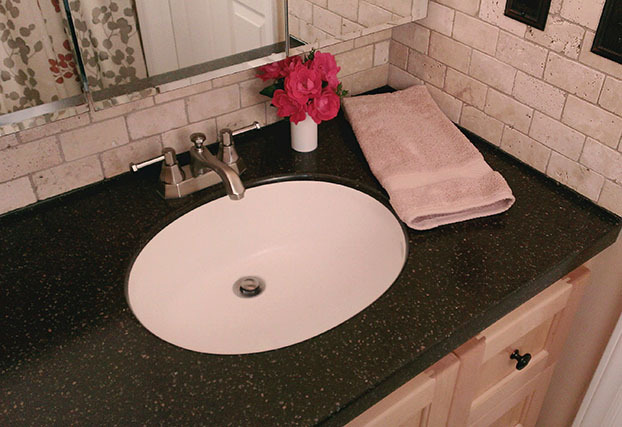 Gemstone is the manufacturer producing the best performing solid surface sink the the business. How do we know? Because we are constantly testing and improving our sinks. With test equipment such as a thermalcycler, QUV machine, Tensile tester, Spectrophotometer, and much more, we are able to know exactly what you get, before you get it. We are able to test and qualify new processies with the goal of continuous improvement. Gemstone is proud to offer our products through the following distributors. We are always looking to add to our list of quality companies. 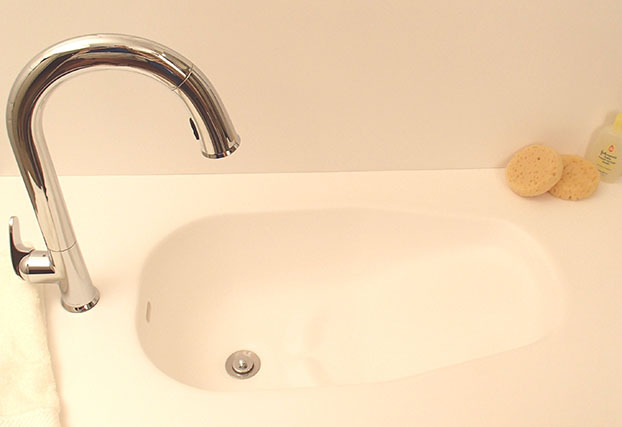 If you cannot locate our products in your area please contact us directly to fulfill your solid surface sink and vanity requirements. 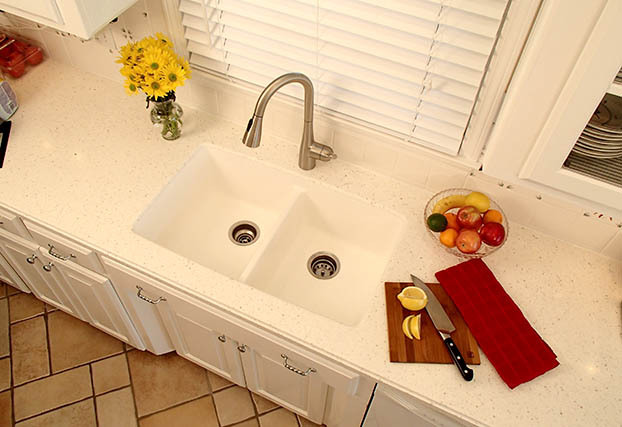 Sinks, Counters, Commercial Sinks, Solid Surfaces Fabrication. 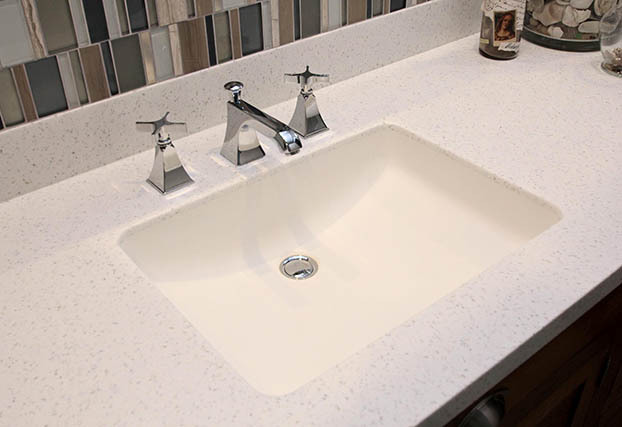 Introducing Gemstone's New Round Sinks and New Designs for 2014--From the Leaders in Solid Surface Sink Manufacturing! 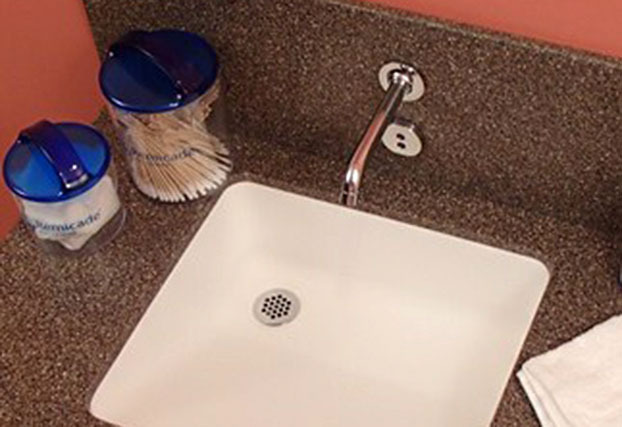 Next we provide sinks with the nicest finished in the business, that are flat and ready to install with location marks. Gemstone also demonstrates its commitment to the environment by packaging its products in materials that are 100% recycleable allowing fabricators to minimize what lands in their dumpsters.